The Boa Constrictor Web Ring! 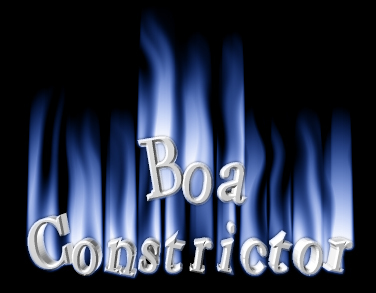 Well, here you are, about to sign up to join the Boa Constrictor webring. This ring is totally dedicated to the Boa. May it be the Emerald Tree Boa or the Rosy Boa, you'll want to advertise it here!! Fill out the form below and follow the direction from there and I'll look at your site.